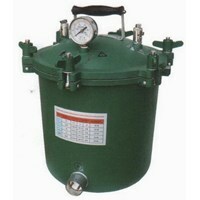 ALAT LABORATORIUMMedicalogy jual alat Sterilizer YXQG-01 (Listrik) / YXQG-02 (Bakar) Autoclave Gea. Medicalogy merupakan distributor untuk produk Sterilizer YXQG-01 (Listrik) / YXQG-02 (Bakar) Autoclave Gea dengan garansi purna jual resmi. Medicalogy dapat mengirimkan pesanan ke seluruh Indonesia dengan kondisi tetap terjaga.Medicalogy.com jual Sterilizer YXQG-01 (Listrik) / YXQG-02 (Bakar) Autoclave Gea dengan harga yang menarik dan bergaransi resmi dari Sterilizer YXQG-01 (Listrik) / YXQG-02 (Bakar) Autoclave Gea. 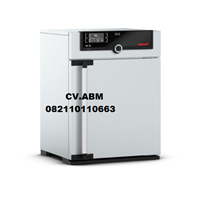 Harga Sterilizer YXQG-01 (Listrik) / YXQG-02 (Bakar) Autoclave Gea termasuk murah dengan kualitas dan kondisi yang terjamin. Seluruh garansi dan informasi produk Sterilizer YXQG-01 (Listrik) / YXQG-02 (Bakar) Autoclave Gea dapat anda peroleh di Medicalogy. 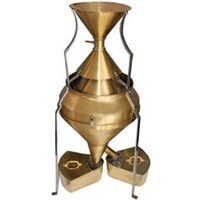 ALAT LABORATORIUMBody : Made of brass.Size : 86cm (Height) x 36cm (dia) (approx. )Weight : 8.5 Kg (Approx.) 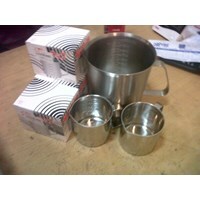 without pan.Capacity : Sample up to 3000g.No. 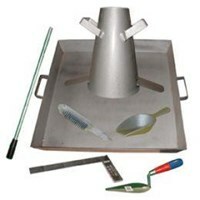 of pockets : 38 pockets (cup made in single piece on die, increases accuracy).Accuracy : ±1% on a 1000g sample.Legs and supports : Powder coated steel.Material flowing components : No joints, smooth finishing.Standards : Meets BIS standards.Collecting pans : 2 No. Buat Permintaan Untuk "Laboratorium Lingkungan"
ALAT LABORATORIUMDescriptionThis Colony Counter is a semi-automatic digital displayer for counting the germs, which consists of counter, sensor, counting cell etc. The counter is made of CMOS integrated electric. 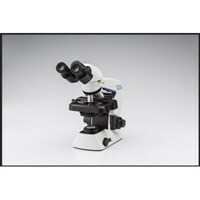 In the black longitudinal background counting cell, a circular fluorescent lamp is used for side lighting, which can give a clear colony comparing. 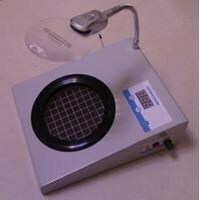 The monitor is designed as three-figure number according to the requirement for bacterial counting SOP. When the colony in one culture plate is over 300, dilute the sample and redo the operation in order to ensure the accuracy of the counting. This instrument can reduce the labour of the operator, enhance the efficiency and working quality, which can be widely used in the field of foodstuff, beverage, drugs, biological products, sanitary utilities, drinking water, industrial waste water and clinical sample. It is a necessary instrument for all levels of health and epidemic prevention stations, environmental monitoring stations, food sanitary supervision organizations, hospitals, biological products manufacturers, medicine inspection stations, foodstuff companies, chemical industry, institutions, and research centres.Main Data1.Capacity of the Counter: 0~9992.Power consumption of lamp: 16w3.Total power consumption: <20w4.Voltage : AC220v±10% , 50/60Hz5.Volume: 268×225×90 mm6.Weight: 1.5kgInstructions1,Connect the power, open the lamp in the counting cell when the monitor shows“001”, insert the sensor and push the “reset” key.2.Put the sample into culture plate.3.Count the colony in the plate with the sensor one by one. At this time, the colony is coloured and buzzer sounds which means the counting is ok. On the monitor, the numbers are added automatically.4.Check with magnifier to ensure the counting is correct. (if some is lost, use the “check” key to add it to.)5. The last number in the monitor is the colony in the plate.6.After the operation, please take out the culture plate. Push the “reset” key and the monitor return to original state.Notice1.The instrument should be put on a fixed and stable operation table with smooth face.2.When counting the colony, the sensor should not be over leaned. With a slight touch to a sense of elastic, the number is input.3.Far from the humidity, severe shock, strong sunshine, acids and alkali. A dust cover is necessary.4 .Prevent the culture media from contaminating the counting cell.5.The instrument and the sensor should not be dismantled at random. If the trouble occurs, please ask the experienced technician for repairing. 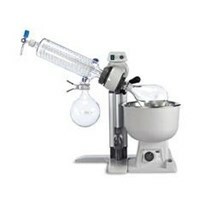 ALAT LABORATORIUMReliable WOB-L Piston pumps are perfect for many common laboratory vacuum applications. 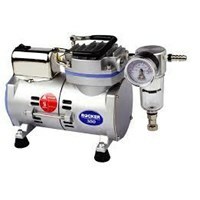 Features: Vacuum and Pressure - to 100 Torr (26"Hg). 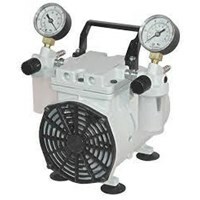 Includes Vacuum and Pressure Regulators and Gauges - simple to adjust and monitor vacuum level and delivery pressure. Inlet Water Trap - float ball rises to seal off pump from accidental ingestion of water. Muffler quiets pump and filters discharge air. For use with dry or aqueous vapor applications only.